For today's edition of TMA's metal round-up (yes, I'm well aware that it's been some time since the last one), I bring you two records from last year and a yet-to-be-released album, surfacing in only a day. Cleaver, who you may recall made my "year-end list," mix black and heavy metal, which makes for a surprisingly listenable record. 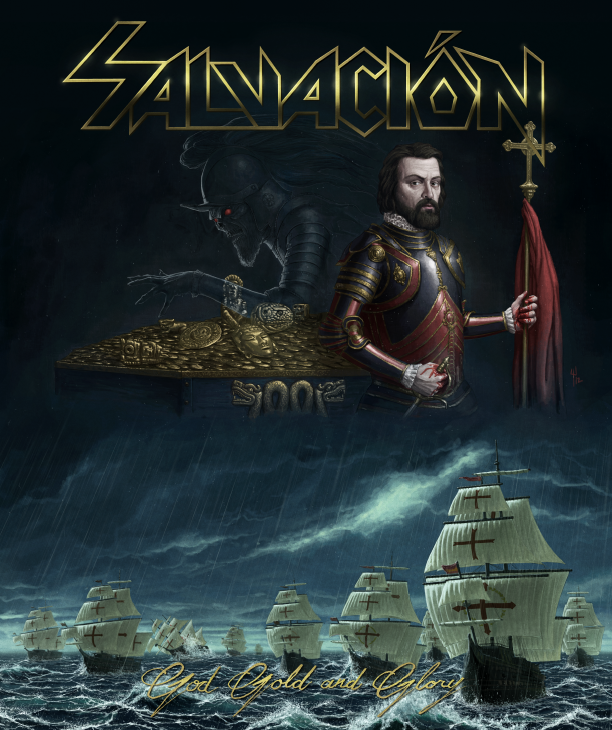 Salvación is a similar band, in that they borrow from their heavy metal idols, but the end product isn't as smooth as it could be--the content is there, but the end product feels somewhat amateurish. Finally, Fleshworld's record certainly has moments of brilliance, but they're few, far, and between. For much of their existence, luck has eluded Cleaver, in that it took them ages to find a record deal suitable enough to unleash their first full-length, When there's No More Room in Hell.... Fortunately, all that changed mid-last year, and the debut found a lucky spot on a generous label's roster, Dead Center Productions. Patient listeners were rewarded with fist-pumping anthems, crunchy riffs, and unforgettable choruses--everything one could ask for in heavy metal record. 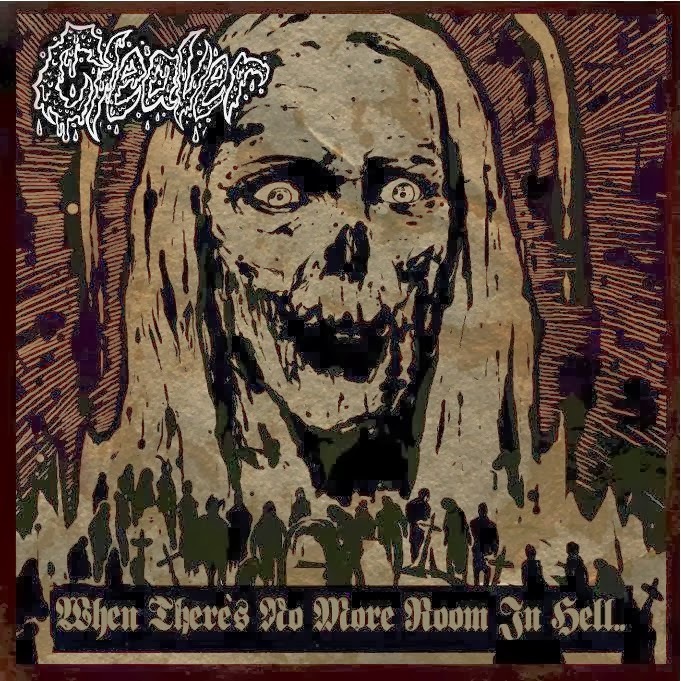 Find Cleaver and When There's No More Room in Hell... on TMA's "best albums of 2013 list" here. Although it has yet to hit shelves, God Gold and Glory is another great heavy metal effort from a band that, despite their Spanish name, comes from the United States. Like Cleaver, the songwriting is entertaining, but the musicianship is sloppy--if not charming--and brings the overall presentation down a few notches. Happily, though, God Gold and Glory promises good things ahead: a band that flies the heavy metal flag high one classic at a time and with an incredibly cool concept to boot, Hernán Cortés' conquest of Mexico. God Gold and Glory is scheduled for release on February 4th. TMA will revisit this one because, despite the sloppiness, it's quite good. In the grand scheme of things, Fleshworld's music isn't all that unique because mixing post-rock and metal has been trendy for a few years now. What stands out, however, is the production--it's recessed-sounding, warm, and positively refreshing. Too bad the same can't be said for the majority of the music, though there's no denying that "Hereinafter" is a brilliant track worthy of many, many listens. Grab this album solely for that song. It's worth it.